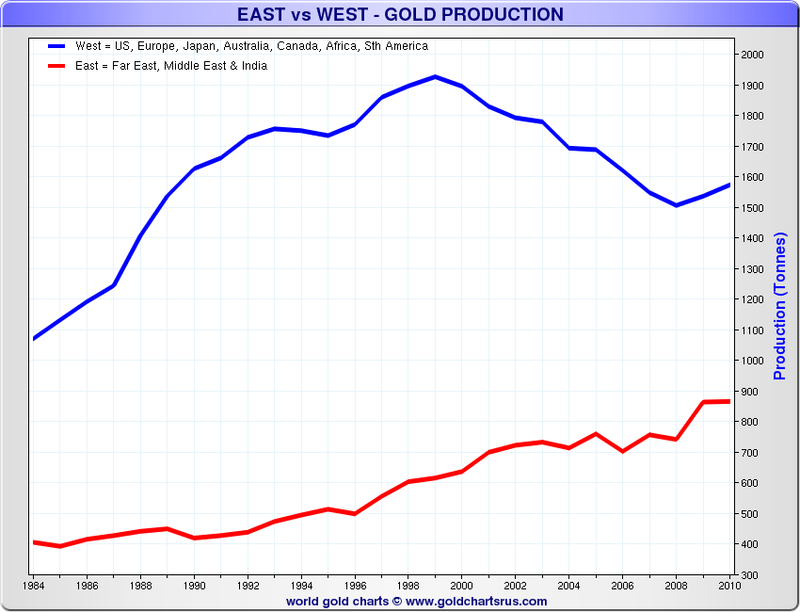 How do the Eastern and Western worlds compare when it comes to gold supply and demand? Before delving into the numbers, it’s important to understand the attitudes towards gold ownership in each region. John Lennon once said “There are two basic motivating forces: fear and love.” When it comes to buying gold, he is correct. Frank Holmes of U.S. Global Investors, whom American Bullion interviewed in March, believes fear and love are the two strongest factors that drive people to buy gold. He characterizes the gold trade as having two types: the Fear Trade and the Love Trade. 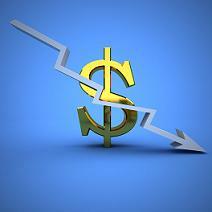 Gold is considered a safe haven from economic and geopolitical turmoil, explaining why it tends to have an inverse relationship with the economy. When investors are concerned about the economy, war, inflation, the stock market, etc., many of them flock to the safety of gold out of fear. This phenomenon is referred to as the Fear Trade, and it is more prominent in the Western world. The Love Trade stems from an affection for gold as a store of value, display of wealth, and thing of beauty. 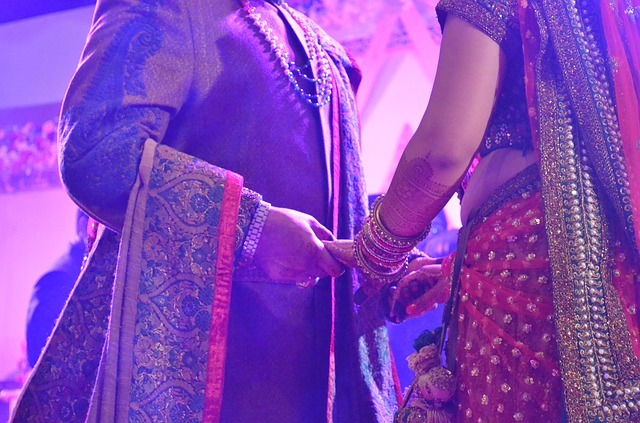 It is largely characterized by consumption of gold in the form of jewelry and usage of gold in weddings, holiday celebrations, and other religious and cultural events (e.g. Diwali, Chinese New Year). The Love Trade is more prominent in the Eastern world, especially China and India. First and foremost, it’s hard to discuss this topic without mentioning the huge role China and India have played. The two countries have been the biggest consumers of gold in the world for the past six years. China overtook India for the top spot in 2014. 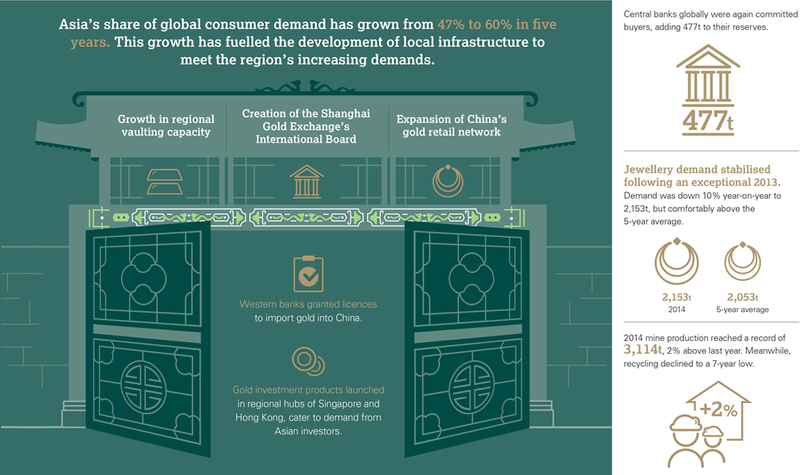 According to the World Gold Council, combined consumer gold demand (jewelry plus total bar and coin demand) in China and India has grown 71% over the last 10 years and accounted for 54% of global consumer demand in 2014. 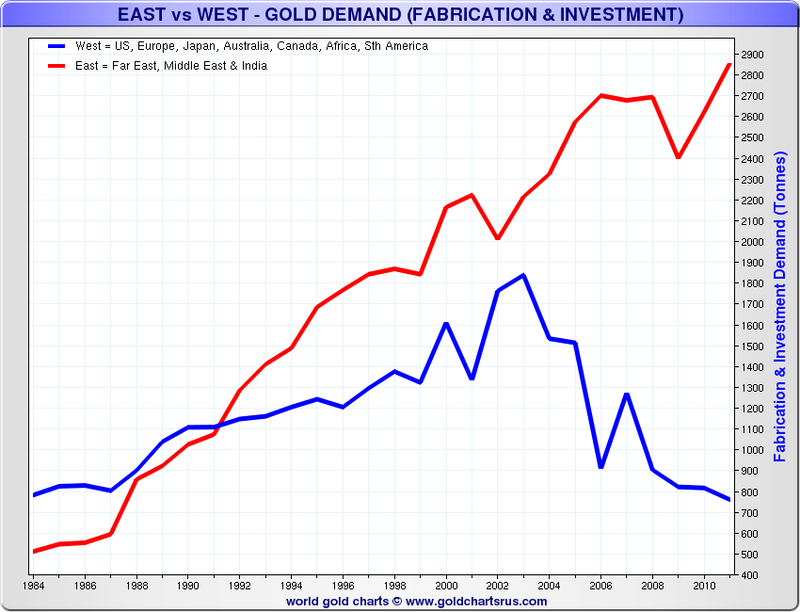 Now let’s look at a few facts and charts regarding gold supply and demand in the West versus the East. 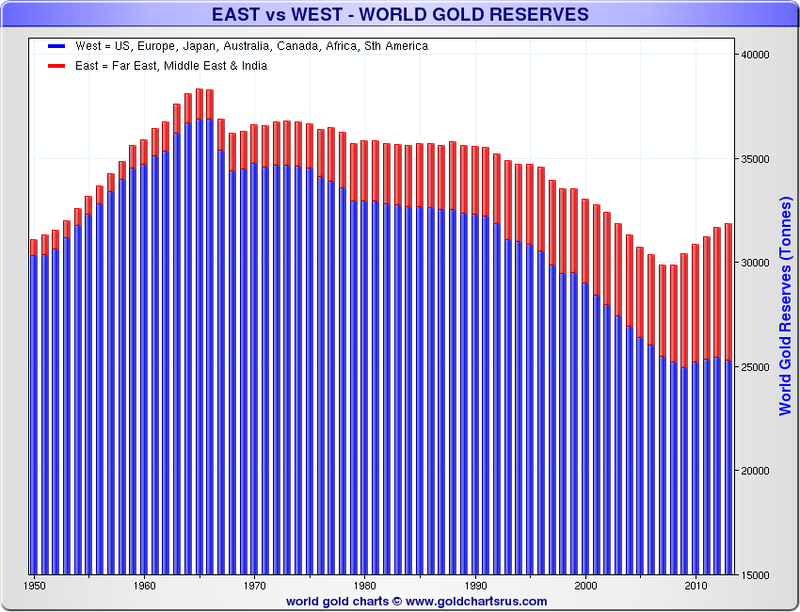 Looking at the charts above, there does seem to be a shift occurring from West to East in gold demand. Gold analysts have been saying so for years. However, there are multiple types of gold demand – jewelry demand, technology demand, investment demand, and central bank demand – so the two regions can be compared in many ways with varying results. One could argue that the differing production and consumption behaviors between the West and East provide balance for the global gold market over the long term. No matter where you may live in the world, gold serves as a high-quality liquid asset that governments cannot print. 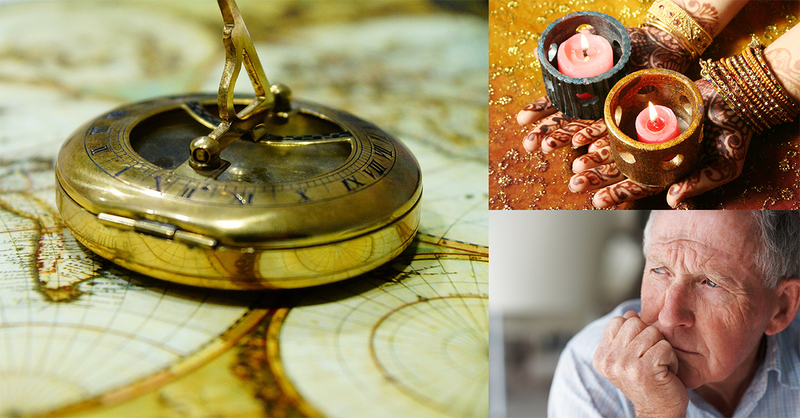 Central banks and consumers all over the globe own gold – why shouldn’t you? Call American Bullion today at 1-800-326-9598 to find out how easy it is to join the ranks and own physical gold.